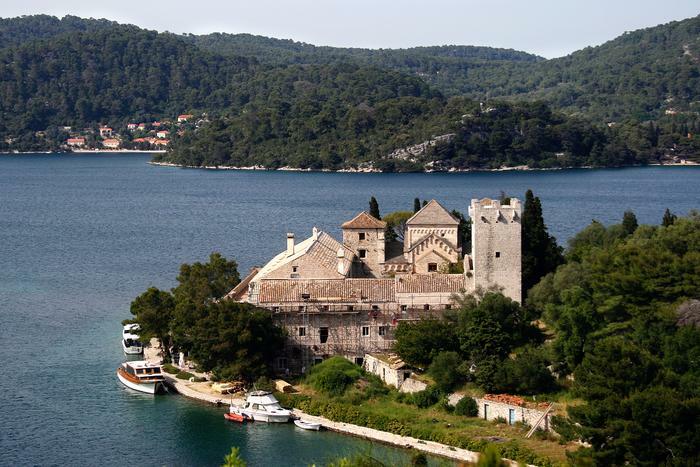 As many other Dalmatian islands, Mljet is also characterized by steep, inaccessible parts of its coast where there are always many intervening adventure tales. One of the legends related to the Mljet island tells us that Ulysses got stranded on its rocks, after which he hid into a cave that bears his name today. Furthermore it tells us that back then island was ruled by a beautiful nymph named Calypso whose charm Ulysses could not resist and thus got entrapped on Mljet for seven years. Today visitors find Ulysses cave attractive not only because of he legend, but for the beauty of the place as well. The cave can be entered from the sea, by small boat or swimming and the noon sun creates extraordinary light effects reflecting from the sea surface. Mljet is favourite destination for tourists who wish to have “Robinson Crusoe“ experience, and a visit to this cave that is hard to access and is surrounded by almost three thousand years old legend fits into that perfectly.